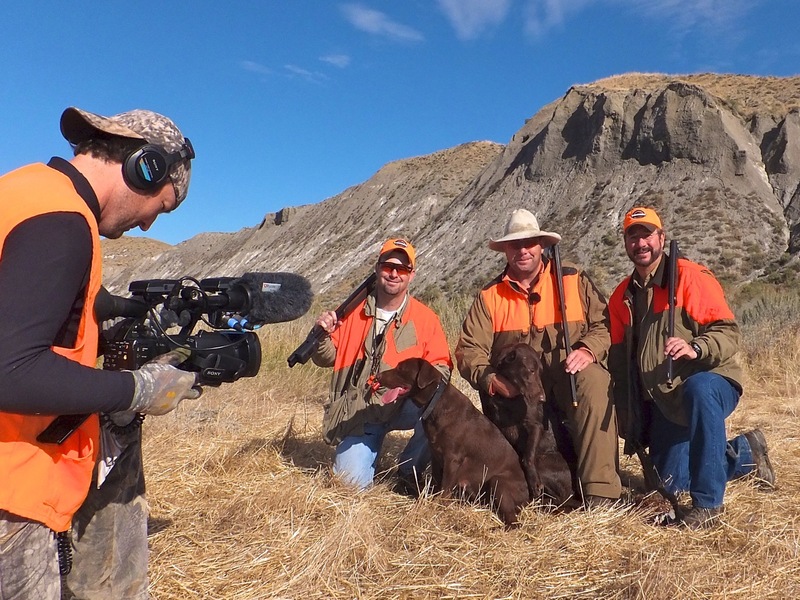 Shorter days, a hint of morning frost and the yellowing of Cottonwood leaves stir's the soul and marks the beginning of the autumn sporting season in Montana. As you crest a small rise under the limitless prairie sky, the fluid searching motion of the pointer suddenly comes to a bone stiffening halt. You edge through the bunch grass and snow berries closer, as your body tenses with excitement. Suddenly, a flurry of wings, birds and motion erupt from under your feet as you focus on one bird and the classic double in your hands is lifted to your shoulder. 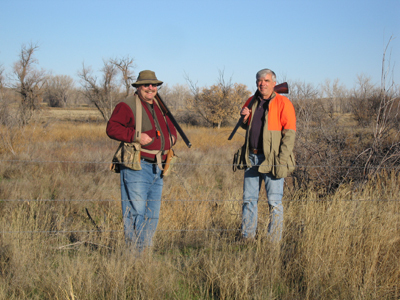 Starting in early September, hunt all 30 square miles of prairie paradise for wild Hungarian partridge and Sharp-tailed grouse. These hard flying elusive prairie birds call the pristine habitat of Twin Creek Ranch home in remarkable numbers. Hunters can expect to encounter numerous coveys of Huns a day and several sharp-tails. This exclusive September hunt is available for only two groups a year and is a perfect way to begin the fall sporting tradition. 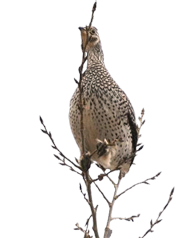 Our Wild Upland Bird Hunting Package are up to 3 days hunting and 4 nights lodging. 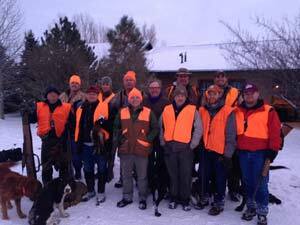 Lodging, meals, guides with experienced dogs, transportation to/from the Billings airport, vacuum-packed game processing, use of the sporting clay course. 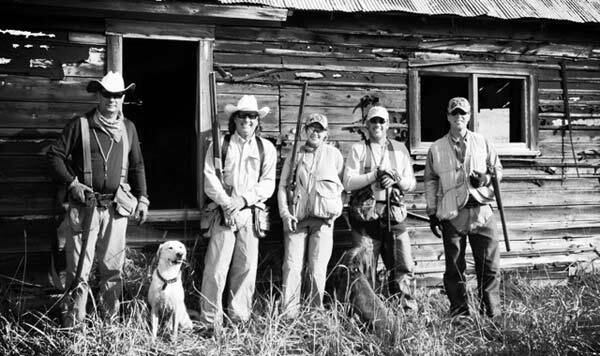 Shipping of birds, sales tax, upland bird license, and lodge and guide staff gratuities are not included. 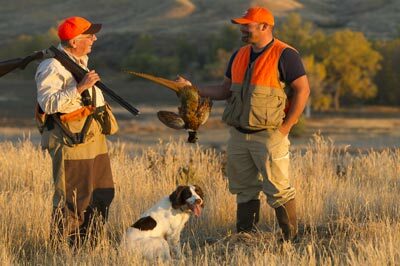 Montana State bird licenses can be purchased anytime before or during hunting season. Game will be cleaned, prepared and packaged for travel. 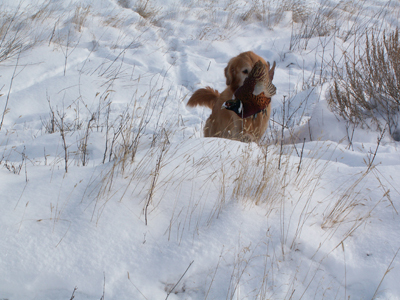 Custom packages are available give us a call to set up your Montana Wild Bird Hunting Adventure of a lifetime.